How does one know the tune when praying in Hebrew? I know that there are trope applied to the Hebrew Bible to tell the chanter how to chant the text. However, what I'm wondering is that how does one know how to chant the Hebrew text when simply reciting prayers and blessings in Hebrew? Are there prescribed melodies composed for each prayer? Or is there a general tune to which one recites the prayers in Hebrew. Or are there actually trope assigned to the Hebrew prayer text. Also, when Psalms and other quotes from the Bible are in the prayers, do they keep the tune they have when the Bible is chanted or do they follow the pattern of the melody of the rest of the prayer? And lastly, does each Jewish tradition have their own melody for the prayers. Meaning, do Ashkenazim, Sephardim, Mizrahim and their subcategories have their own tunes for prayer? I apologize for all of these questions but I really would like to know. And also, thank you for all of your answers, I greatly appreciate it. Just like the trope, the tunes are traditional, and yes, each community has its own tunes and even its own system of chanting. A chazan (cantor) also has significant leeway in choosing tunes. Since the text is set but the tune is not, the chazan can simply compose a new tune or adapt someone else's tune. There are halachot regarding this, but not everyone observes them. Generally, there will be a specific mode (called nusach for Ashkenazim) for chanting prose text, similar to reading from the Tanach, and poetic text may be set to an actual melody. The way Ashkenazic nusach works is that there are some very basic melodic motifs that the chanting should generally use, and the chazan is free to improvise within that framework. As synagogue services become more lay-led and less often led by professional chazanim, these motifs solidify into melodic snippets that essentially get rearranged. There are lots and lots and lots of examples at offtonic.com/nusach, including melodic snippets, freer mode-based improvisation, and composed melodies. The Sephardic world is vast when it comes to diversity, and different communities have very different practices. Spanish and Portuguese communities do essentially the same as Ashkenazic communities; there are some melodic snippets that the chazan rearranges to fit prose text, and there are composed melodies for poetic texts. Some tunes actually straddle that line; the famous tune for Bendigamos, for example, gets quite stretched over the course of the song! Moroccan communities tend to add much more embellishment and improvisation while essentially keeping to the same format. Syrian communities have a much freer approach; there is a specific musical scale (the maqam) used for each service, which depends on the service, the week of the year, etc., and the text is chanted by improvising freely within that scale. The improvisation tends to follow certain characteristic patterns, but they don't even come close to being melodic snippets. For poetic texts, they sing some composed melody in the same maqam. You can listen to examples at Sephardic Hazzanut. Yemenites... Yemenites do their own thing. I can't pretend to understand Yemenite chanting. To answer one of your other questions, generally speaking Biblical quotes (which are all over the liturgy for what should be obvious reasons) are not specially marked by melodies. There can be exceptions. At one Yom Kippur service I once attended, the sha"tz (stands for SHaliach TZibur, the prayer leader) decided to sing the Hashivenu line of Sh'ma Kolenu in Eichah trope. I've also heard, at Rosh Hashanah services, I heard the musaf paragraphs detailing the day's sacrifices chanted as it was done during maftir, in high holiday Torah trope. In many Sephardic communities, including Moroccan as well as Spanish and Portuguese, the Kabbalat Shabbat psalms are chanted with T'hilim trope, whether they know it or not! Also on Friday night, Moroccans (and only they, that I know of) read four lines from Song of Songs right after L'chah Dodi, and those four lines are read with Song of Songs trope. I hope that answers some of your questions! NusachDB is a pretty great resource for melodies from around the world. I know the guy who runs it; I sleep next to his wife every night! (: NusachDB has a subcategory Nusach Resources, which links to over 400 sites (I don't remember my last count, but you can check) with recordings. You can even find some sheet music (other than my transcriptions, I mean), including the famous German compendium of nusach from the 1870's, Abraham Baer's Baal T'fillah. These chants and melodies are always a combination of the very old and very traditional, the very new and very traditional, and the simply new. I hope you can learn some of these melodies; Judaism, globally, is far the richer for having them. You are correct that the Bible has trope (cantillation) notes. Their main purpose, actually, is for grammar. However, it does indicate the music, as well. There are different "tune styles" or "modes" for Torah, Haftarah, and special modes for Ecclessiastes, Lamentations, Esther, etc. You can find the musical notation in the back of the Hertz Bible, as one example. There are other places that I'm sure you can find online that have both written music as well as audio files for the cantillation. There are different nuscha'ot (pl. of "nusach") for weekday, vs. Shabbat and the various holiday prayers. Even various parts of the prayers service during one day also have their own nusach. High Holidays have their own special nusach that generally convey the solemnity of the day. These nuscha'ot have been established standards for a few centuries. You can find some audio files online where you can hear various cantors singing various parts of the prayers. I'll see if I can edit in a source or two. During the late 1800's into the mid 1900's, there was a huge emphasis in producing professional cantors in Europe as well as the U.S. You can probably locate recordings of some of the greats like Kussevetsky, Mosher Osher, Cantor Rosenblatt and Richard Tucker online. While they all stick to Nusach (for example, the tune for Kol Nidre is pretty much standard for everyone), they also developed their own tunes for certain prayers. Besides learning these tunes online, I think the best way is just to attend services regularly. I learned most of the High Holiday tunes (I lead part of the service, now, in my shul) from the chazzan in the shul I grew up in. The majority of his tunes were so unique and so beautiful, that hardly anyone else has even heard of them. I managed to get one impromptu recording of his doing these tunes. But, seriously, regular attendance, paying attention and much repetition, I think is the best way to etch these tunes into your head and soul. The tunes and sing-song during prayers in the Synagogue is based on the way it was done back in the Old Country; you either pick it up by going to prayers or learning it from someone. The Ashkenazim lost most of their tunes, but Middle Eastern and Oriental Jews have a very rich "catalogue", for lack of a better word. Especially for the second and third categories of melodies, we enjoy changing the melodies we sing once in a while to add some variety to the service. Although most of the songs in the second category are in Hebrew, many people (at least in my congregation) find it easier to remember the words if they have a melody or melodies to remember them by, rather than looking at it as having to remember both foreign lyrics and a melody. Music is almost always congregationally sung, often with a guitarist and/or choir (or even piano) as accompaniment, rather than simply the chazzan (cantor) chanting. I am a songleader with my Reform congregation and a teen Reform Jewish youth group (called NFTY). Note that this answer is written with Reform Judaism in mind, as I do not have experience in other denominations. From the few conservative services I have been to, there are many more nusach melodies, few contemporary ones, and (as far as I know) no secular tunes. Not the answer you're looking for? Browse other questions tagged tefilla trop-cantillation . How often and for how long should one pray for a sick person? Which of these weekday morning prayers do I say? When and how were trop melodies first written down? 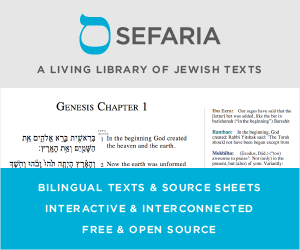 Who organized the different trope tunes used in Ashkenazic Scripture reading? Is there an obligation to sing the Torah cantillation notes?